A true cinephile, his approach to film composition is not only based on his strong musicality, but also on his understanding of Cinema, which allows him to intimately communicate with directors. Inspired by the works of Maurice Jarre, Bernard Herrmann, Nino Rota or Georges Delerue, he expressed his desire to compose for Cinema early on but really made his decision after listening to John Williams's score to Star Wars. 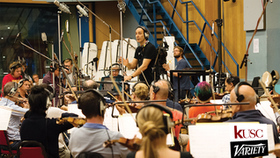 During the recording of his first feature film, he met a rare violinist, Dominique "Solrey" Lemonnier, starting an exceptional artistic exchange. She became his favorite soloist, concertmaster, artistic director and wife. With her special sense of interpretation and her creative spirit, she has inspired Desplat's compositions, influencing his music at its core. 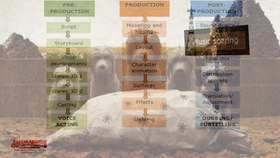 Together they have created a new way of using for the strings in film music. After scoring 50 European films, with legendary French directors such as Philippe de Broca or Francis Girod, he burst in 2003 onto the Hollywood scene with his evocative score to Peter Webber's GIRL WITH A PEARL EARRING which earned him nominations at the Golden Globes, BAFTAs and European Film Awards. 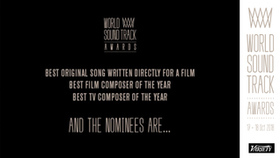 His singular and remarkable scores for the films of Jacques Audiard showed a new musical voice and his composition for THE BEAT THAT MY HEART SKIPPED in 2005 earned him the Silver Bear at the Berlinale as well as his first César. Alexandre Desplat then started to expand his U.S. career keeping his European collaborations by composing for Stephen Gaghan's SYRIANA, Jonathan Glazer's BIRTH, Florent Siri's HOSTAGE, and Jacques Audiard's A PROPHET. In 2007 he received his first Academy Award nomination for Stephen Frears' THE QUEEN which earned him his first European Film Award. The same year he won the Golden Globe, the Los Angeles Film Critics Association Award and the World Soundtrack Award for his score to John Curran's THE PAINTED VEIL, performed by Lang Lang. He composed in 2008 for Florent Siri's INTIMATE ENEMY, Ang Lee's LUST, CAUTION, and David Fincher's THE CURIOUS CASE OF BENJAMIN BUTTON, which earned him a second Oscar nomination and a fourth BAFTA and Golden Globe nomination. With his score for Roman Polanski's THE GHOST WRITER in 2010, starting an inspiring relationship, he won a second César and a second European Film Award. 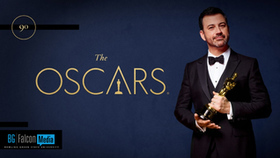 The same year, he wrote the music for TWILIGHT-NEW MOON by Chris Weitz, a platinum record, Anne Fontaine's COCO BEFORE CHANEL and for Tom Hooper's THE KING'S SPEECH for which he won the BAFTA, the Grammy Award and receives his fourth Academy Award nomination and his fifth Golden Globe nomination. 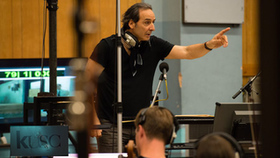 In 2010-2011 Alexandre Desplat scored David Yates films HARRY POTTER AND THE DEATHLY HALLOWS, PART 1 and HARRY POTTER AND THE DEATHLY HALLOWS, PART 2, which became the third most successful movie of all time. As eclectic as prolific he wrote nine score in 2011 including Terence Malik's TREE OF LIFE, Roman Polanski's CARNAGE, Wes Anderson's FANTASTIC MR FOX, Daniel Auteuil's THE WELL'S DIGGER DAUGHTER and George Clooney's THE IDES OF MARCH. In 2012, keeping his artistic exchange with European directors, Alexandre Desplatcollaborated with Kathryn Bigelow for ZERO DARK THIRTY, Matteo Garrone for REALITY, Gilles Bourdos for RENOIR, Jérôme Salle for ZULU, Wes Anderson for MOONRISE KINGDOMand Jacques Audiard for RUST AND BONE for which he won a third César. He also scored ARGO by Ben Affleck, which was awarded the Oscar for best film, and earned Alexandre Desplat a sixth nomination at BAFTA, as well as a fifth nomination at the Golden Globes and the Oscars. He signed in 2013 the scores of THE MONUMENTS MEN by George Clooney, Roman Polanski's VENUS IN FUR, Stephen Frears' PHILOMENA, for which he received his seventh BAFTA and his fifth Oscar nominations. In 2014 he scored Gareth Edwards's blockbuster GODZILLA, and received a rare double Academy Award nomination for his scores of Morten Tyldum's THE IMITATION GAME and Wes Anderson's THE GRAND BUDAPEST HOTEL, which earned him a BAFTA, a Grammy and his first Oscar. 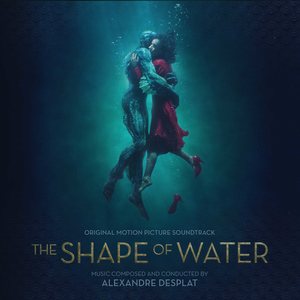 Just hours after winning a prestigious Golden Globe for Best Original Score, composer Alexandre Desplat has been nominated for a British Academy Film Award (BAFTA) for his spine-tingling score to The Shape of Water. The soundtrack was released on Decca Records on December 15. 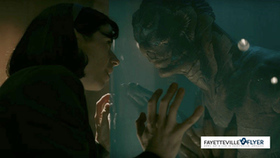 Alexandre Desplat picked up the award for Best Original Score at the 75th annual Golden Globe Awards in Los Angeles, while Guillermo del Toro was named Best Director for The Shape of Water. 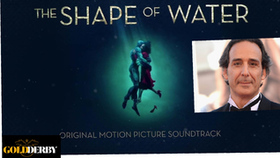 Speaking of his win, Desplat said, "At the end of the day, this movie is about love. Love, sharing, humanism and respect. The music just had to convey that."